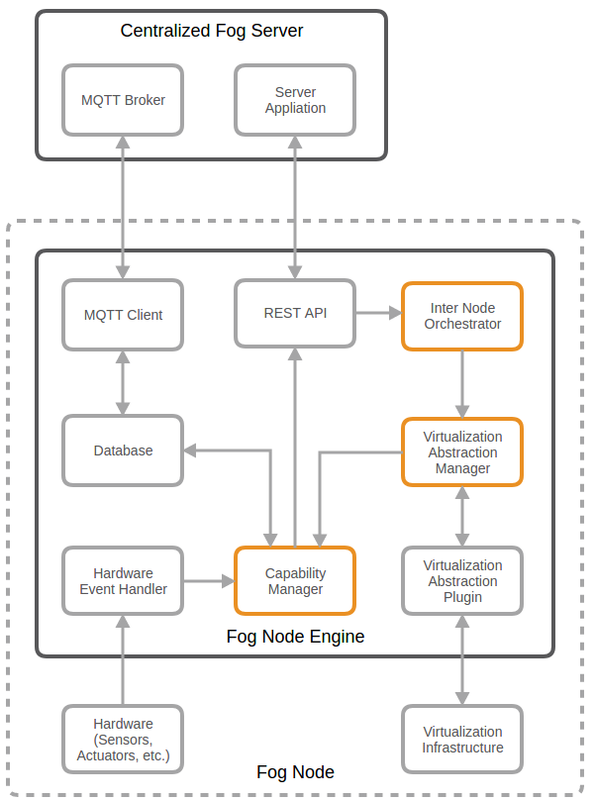 Motey is a fog node agent which is able to start virtual containers and can act autonomous. Motey is using python 3.5 or newer. All the necessary requirements are in motey-docker-image/requirements.txt. A separate MQTT server is optional but recommended. The easiest way to use Motey is to run the docker container. # pull the docker container. Motey need a MQTT broker to communicate with other nodes. Therefore a MQTT server has to started. The ip of the server has to be configured in the config.ini file of Motey. By default Motey is executed as a daemon. It can be started, stopped and restarted via the cli tool. You also can start Motey in foreground. Motey provide several endpoints to communicate with the system. You can communicate with the capabilities engine via ZeroMQ. In the default configuration port 5090 is exposed as a ZeroMQ subscriber. You can connect to them witho one ore more ZeroMQ publisher to add or remove capabilities. A REST API is provided on port 5023. Endpoints are /v1/service to upload a YAML blueprint and get informations about the status of a service, /v1/capabilities to add capabilities, which is basically another possiblity to communicate with the capabilities engine and /v1/nodestatus to get the current node status. Motey will try to connect to a MQTT broker on startup. Default config is set to url 172.17.0.3 and port 1883. This can be configured by modifing the config.ini file. © Copyright 2017, Markus Paeschke. Revision b037d5fe.